Workplace Fairness was very saddened to learn of the passing of former board member and early supporter Penny Nathan Kahan on February 1, 2017, after a long and hard-fought battle with ovarian cancer. (Penny Kahan Obituary) Penny’s legacy will be honored at a Celebration of Life on Sunday, Feb. 19, 2017, at 2:00 PM, at the Chicago Jewish Funerals – Skokie Chapel, 8851 Skokie Boulevard, Skokie, IL 60077. Penny founded the law firm of Penny Nathan Kahan and Associates in 1983. Her career as an attorney was focused on helping people who suffered from workplace unfairness and discrimination. 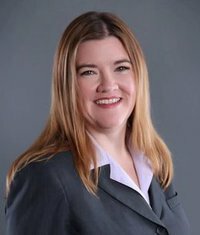 She participated in a variety of professional organizations, including serving as a founding board member of the National Employment Lawyers Association and its Illinois affiliate, NELA-Illinois. In 2000 she was elected a Fellow of the College of Labor and Employment Law and a fellow of the American Bar Foundation in 2002. As part of her devotion to the legal profession and to the cause of workers rights, Penny served on the board of Workplace Fairness when it was known as the National Employee Rights Institute (NERI). She additionally served on the Advisory Board for a long-time project of Workplace Fairness, the Employee Rights and Employment Policy Journal, co-published by IIT Chicago-Kent College of Law. Workplace Fairness was co-founded by Wayne Outten and Paul Tobias in 1994. For several years following its founding, the organization was entirely volunteer-run and depended on the work and support of advocates like Penny. In a fateful board meeting in Chicago in 2001, as part of an effort to increase the profile and impact of the organization after hiring its first staff, it was Penny who suggested that the organization change its name to Workplace Fairness – the name by which it has been known ever since. We acknowledge and honor Penny’s pivotal role in the development of our organization, as over 4 million workers every year now rely on the organization named Workplace Fairness to reflect our mission of providing the comprehensive and reliable employee rights content available on the Internet. We are proud that her legacy lives on through the name she selected for our organization and the millions of workers that under that name we have assisted in enforcing their rights and in finding attorneys like Penny and her professional colleagues to provide representation. We will miss Penny’s warm smile and passionate, thoughtful advocacy, and share our condolences with her family, friends and professional colleagues who will miss her dearly. That didn’t take long. As the West Virginia Legislature opened Wednesday, the first bill out of the gates was “right to work” legislation that does nothing more than attack the rights of working people. As the video above shows, workers weren’t happy about the proposal and flooded the Capitol to express their opposition to the dangerous bill. In a WVU study about the effect of right to work on employment growth, the authors mismeasured both right to work status and employment growth….The point of so-called right to work laws is to hamstring unions, thereby lessening workers’ bargaining power and driving down their wages. This law has the potential to hurt all workers in West Virginia, union and nonunion alike. Right to work is associated with lower wages and benefits for both union and nonunion workers. In a right to work state, the average worker makes 3.2% less than a similar worker in a non right to work state. Through cutting wages, right to work may undermine West Virginia’s small businesses, which depend on the state’s residents having wages to spend. Many of the arguments made by advocates of right to work ignore that under federal law it is already illegal to force anyone to be a member of a union, and it is already illegal to force workers to pay even one cent to political causes. Companies that are primarily interested in cheap labor are going to China or Mexico, not to right to work states like South Carolina or Arizona. This blog originally appeared in aflcio.org on January 15, 2016. Reprinted with permission. Paid sick leave isn’t just the right thing to do for people who currently face the choice of going to work sick, or going without pay. It’s a public health issue. “One of the most egregious examples that I describe in the book is a worker at a Fayetteville, N.C., Olive Garden [who] was forced to work with hepatitis A because [Olive Garden] doesn’t have an earned sick leave policy,” [Saru] Jayaraman says. As a result, Jayaraman says, 3,000 people had to be tested for hepatitis A at the Cumberland County, N.C., health department. Most cases aren’t that dramatic, of course, but norovirus is often spread by food workers, and you really don’t want norovirus. Yet somehow Republican morality says that these workers in one of the lowest-paying industries should stay home to protect the rest of us while being denied basic protections themselves, and risking their ability to pay the bills and put food on the table for every day they stay home sick. Paid sick leave is gaining momentum in the United States, with four states—Connecticut, Oregon, California, and Massachusetts—now having laws requiring it for most workers. But it will never be federal law as long as Republicans have the ability to block it. This blog was originally posted on Daily Kos on October 22, 2015. Reprinted with permission. Lawmakers in Michigan are still pushing a bill that would keep cities and towns from making their own decisions about paid sick days laws. We call them “preemption bills”— restaurant lobbyists and their allies call it the “kill shot” to paid sick days. The bills in the House and Senate are ALEC model bills, inspired by none other than Wisconsin union-buster Gov. Scott Walker. Quick story: In early 2011, Walker pushed and passed a preemption law in Wisconsin, completely invalidating the will of Milwaukee voters who had just passed a sick days ordinance. The restaurant lobby was so excited that they handed out copies of the bill to attendees of ALEC’s August 2011 meeting. And, as if by magic, preemption bills have been introduced in Michigan, Mississippi, Washington, Arizona, Indiana and Oklahoma. Such laws are already on the books in Wisconsin and Louisiana. Just this week, a preemption bill passed both houses of the Florida legislature. Textbook ALEC. In Michigan, along with statewide mothers’ organization Mothering Justice, Working America delivered petitions signed by more than 2,500 Michiganders to the Michigan Restaurant Association and the state legislature. All workers deserve the opportunity to earn paid sick days, so that not another person has to make their choice between going to work sick and not making rent, or not being able to eat, or not being able to care for their child. But even the threat of workers in a few cities and towns having this basic right has the restaurant lobby and ALEC running scared, using their politician pawns to introduce ridiculously undemocratic preemption bills that won’t create a single job. Since when did these “small-government” obsessives get into the business of telling cities and towns how to conduct their business? Join us. Tell the Michigan legislature to stand with workers, mothers and democracy—not ALEC and the restaurant lobby. This article was posted on the AFL-CIO on May 7, 2013. Reprinted with Permission. With 12 votes needed, only 11 members of the Philadelphia City Council were willing to override Mayor Michael Nutter’s veto of the sick leave bill. For the second time in three years, corporate interests defeated a measure that would allow more than 180,000 Philadelphians to finally earn sick days. Instead of listening to the people of Philadelphia, Mayor Nutter sided with business interests: specifically the Philadelphia-based ALEC corporation Comcast, who spend more than $100,000 opposing sick leave in 2011 and is a big contributor to Mayor Nutter’s campaign. Comcast also contributed $3,000 to Councilman Brian O’Neill and $1,500 to Councilman Denny O’Brien, both who voted against the sick leave bill and refused to override Mayor Nutter’s veto. All of this despite the fact that 77% of Philadelphians favor the sick leave policy. Not all hope is lost, however. Working America worked with a broad coalition to drive thousands of messages and phone calls to Mayor Nutter and members of the Philadelphia City Council. And while sick leave proposals move forward in Portland, Oregon, New York City and elsewhere, there will be more pressure on city officials as time goes on. This article was posted on the AFL-CIO on April 11, 2013. Reprinted with Permission. This weekend, Missouri working families went door to door to tell their friends and neighbors about a series of anti-worker bills Republicans are pushing in the state legislature. Across the state, Missourians described the right-wing push that is advancing paycheck deception, anti-prevailing wage and “right to work” for less bills. The response at the door has been overwhelmingly positive. A lot of voters don’t know what’s going on in Jefferson City, but when they hear what working people are facing and how wages will fall if these bills are passed, people are very concerned. Politicians should realize that constituents are paying attention. This article was originally posted on the AFL-CIO on April 8, 2013. Reprinted with Permission. You are currently browsing the archives for the workplace issues category.